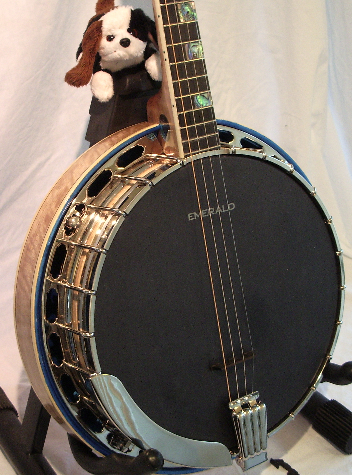 This banjo is fitted with our “soft feel” head fitted to a 20 hole very heavy cast bronze American tone ring perfectly fitted to a superb block maple rim. Single plate cast flange. The instrument has a full ringing sound typical of only the very best banjos.